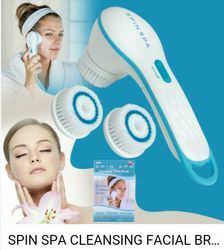 Features: the spin spa is designed for use in shower or sink only do not use in bathroom. - professional quality manicure and pedicure instruments with filling attachments. 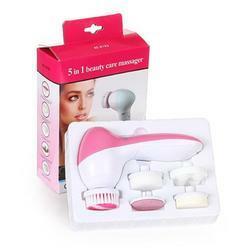 His is the 5 In 1 Battery beauty care massager. It operated by 2xAA batteries (not included), have 5 accessories. In order to cater the diversified demands of our clients, we have been able to provide a unique range of Ozone Beauty Massager. 2 Speed both side rotating facial massager relieves and stimulates tired face, chin and neck with specially designed six different types of attachments. Best for beauty parlours.